Закрепит ли "Челси" победу над чемпионом? Brighton didn't take advantage of the corner and score as the opposition's defence was alert and averted the threat. Solomon March (Brighton) takes a short corner kick. Kepa Arrizabalaga (Chelsea) gets booked for the first time in this match. Solomon March (Brighton) attempts to find his teammate with a pass from outside the box, but the opposition's defence is quick to react and thwarts the attack. Brighton earn a corner. Solomon March (Brighton) produces a shot from a direct free kick on the edge of the box. His effort sails narrowly over the crossbar. The goalkeeper was lucky there. The foul by Marcos Alonso (Chelsea) is worthy of a card and a yellow is duly shown by Stuart Attwell. The attendance for today's match is 30645. Chris Hughton decides to make a substitution. Anthony Knockaert will be replaced by Jurgen Locadia (Brighton). Maurizio Sarri is forced to make a change. Eden Hazard (Chelsea) is not able to carry on due to injury. He is replaced by Olivier Giroud. N'Golo Kante (Chelsea) wastes a good opportunity as his pass into the box is blocked by the defence. One of the players from Brighton times his run too early and the referee blows his whistle for offside. Chris Hughton has decided to make a change. Yves Bissouma (Brighton) replaces Pascal Gross. Eden Hazard (Chelsea) is being forced to leave the pitch in order to receive medical treatment and his team will play with a man short for a few minutes. Dale Stephens (Brighton) gives away a foul for a fierce tackle on an opponent. Substitution. Ross Barkley (Chelsea) receives a signal from the referee and is now allowed to enter the pitch as Mateo Kovacic walks off. Willian (Chelsea) nearly creates a chance, but his attempt to pick out a teammate with a through ball does not come off. N'Golo Kante (Chelsea) delivers a long ball, but it lacks enough power to reach his teammates and is intercepted by one of the defenders. Florin Andone (Brighton) is penalised. Solomon March (Brighton) attempts to find the head of one of his teammates with a promising cross into the box, but a defender outjumps the attackers and averts the threat. Substitution. Ruben Loftus-Cheek (Chelsea) in, Pedro out. GOAL! A cross into the box is headed down by Bernardo and Solomon March (Brighton) does brilliantly to get to the ball and fire home. 1:2. Brighton take the corner, but their hopes of scoring a goal end with nice clearance by the defence. Pascal Gross (Brighton) tries to send a pass but it's blocked. Good work from Brighton as they win a corner. What a great touch by Marcos Alonso (Chelsea)! He picks up a precise pass and produces a long-range shot, but his fabulous effort smashes off the right post! Pascal Gross (Brighton) whips the ball in from the long-range free kick, but the first man gets it clear. It looks like David Luiz (Chelsea) saw red with that tackle. Stuart Attwell won't tolerate such behaviour on the pitch and blows for a foul. Willian (Chelsea) whips the ball into the penalty area, but one of the defenders is alert and spanks it away. Glenn Murray will be replaced by Florin Andone (Brighton). Solomon March (Brighton) sends a cross into the box, but the opposition's defence clears the ball to safety. Willian (Chelsea) takes the free kick but it is cleared by the first defender. A yellow card for a tackle by Lewis Dunk (Brighton). Stuart Attwell doesn't hesitate at all to make this decision. Pedro (Chelsea) fails to find any of his teammates inside the box as his pass is blocked. Pedro (Chelsea) tries to find Willian with a clever through ball from the corner of the box, but the defence is alert to the danger and makes a clearance. Unbelievable miss! Pedro (Chelsea) reacts superbly to latch on to a rebound, but he blazes the ball high over the crossbar! Flag goes up against Mateo Kovacic (Chelsea) and the referee blows his whistle for offside.me>>. The referee blows his whistle for offside. Solomon March (Brighton) tries to slide the ball through to a teammate but it's well blocked by a defender. Eden Hazard (Chelsea) once again attempts to send a defence-splitting pass, but the opposition's defence is alert and intercepts the ball. Willian sends over an inswinging corner and Antonio Rudiger (Chelsea) gets his head on the ball, but it goes just wide of the left post. Willian (Chelsea) will take the corner. Pedro (Chelsea) crosses into the box from near the side line, but he doesn't connect as he wanted and it's cleared by the well-organized defence. The linesman makes the right call and Chelsea will have a corner. Glenn Murray (Brighton) launches into a thunderous tackle on his opponent and the referee blows his whistle for a foul. Glenn Murray (Brighton) passes the ball onto Anthony Knockaert, but one of the defenders dispossesses him. Eden Hazard (Chelsea) tries to latch onto a defence-splitting pass, but one of the defending players intercepts the effort and the danger passes. Solomon March (Brighton) whips a promising cross into the box, but the opposition's defence intercepts the ball. Goal - 0:2! Willian laid the ball off to Eden Hazard (Chelsea), who shot from close range into the bottom left corner, leaving the goalkeeper helpless. Willian (Chelsea) is caught offside! Solomon March (Brighton) produces a ferocious strike from the edge of the box. His dangerous effort towards the right post is blocked by Kepa Arrizabalaga, who pulls off a superb save to keep the ball out of the net. Eden Hazard (Chelsea) fails to send a pass into the box as his effort is cut out. Dale Stephens (Brighton) is obviously not following the Golden Rule: „Treat others as you want to be treated.“ He makes a bad challenge and leaves Stuart Attwell with no other option than to blow for a foul. Neat passing move from Brighton in order to create new attacking opportunities. Eden Hazard (Chelsea) latches on to a brilliant through ball in a promising position, but one of the defenders is alert to the danger and dispossess him. The linesman signals that Willian (Chelsea) is offside and the referee confirms the decision. Anthony Knockaert (Brighton) crosses the ball forward but it is intercepted. Willian (Chelsea) sends a quick through ball into space for his teammate who is lurking close to the offside line, but one of the defenders intercepts and clears the danger. Pascal Gross (Brighton) makes a rough challenge and the referee blows for a foul. The free kick from long range, taken by Brighton, is intercepted by one of the defenders. Dangerous play by Jorginho (Chelsea). Stuart Attwell blows his whistle for a foul. Brighton will take a free kick. Willian (Chelsea) sends a pass into the box, but his attempt is thwarted and cleared. Goal Pedro (Chelsea)! Pedro (Chelsea) was put through by Eden Hazard and he showed brilliant composure to tuck it home from inside the box. 0:1. Willian (Chelsea) takes the free kick from the edge of the box but the defensive wall makes the block. Anthony Knockaert (Brighton) gives away a foul for a clumsy challenge. Referee Stuart Attwell saw the whole situation. Chelsea win a free kick. Marcos Alonso (Chelsea) expertly controls the pass inside the penalty area and shoots, but it's inadvertently blocked a defender. Pedro (Chelsea) plays a one-two with N'Golo Kante, but the move breaks down. Brighton take a short corner kick. 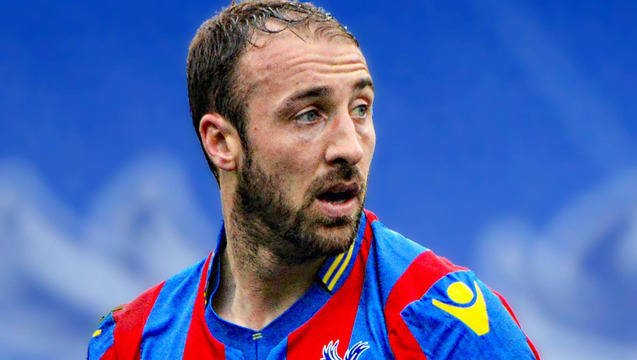 Glenn Murray (Brighton) unleashed a monstrous piledriver. He controlled a pass, glanced up at goal and shot from the edge of the box. It could have been a difficult one for the keeper, but the ball fortunately hit one of the defenders and ball bounced away. Brighton get a corner. A short through ball almost allows Pascal Gross (Brighton) to get in a good shooting position, but he loses it to one of the defenders. Willian (Chelsea) is unable to control an accurate defence-splitting pass properly and one of the defending players reacts well to rob him of the ball. Pascal Gross (Brighton) crosses the ball into the box from the free kick, but the defence clears the danger. Marcos Alonso (Chelsea) makes a reckless foul in order to win the ball from his opponent. Stuart Attwell has a clear sight of it and blows his whistle. Free kick. Brighton will probably just try to cross the ball in from here. Mateo Kovacic (Chelsea) slides a pass forward, but one of the defenders cuts it out. David Luiz (Chelsea) stands over the free kick and opts to take it himself, but it is straight at Mathew Ryan. Dale Stephens (Brighton) escapes without any punishment from the referee after using excessive force to foul his opponent. Chelsea have a free kick. Pedro (Chelsea) tries to play a through ball from just inside the box to Eden Hazard, but one of the defending players is alert to the danger and makes a timely interception. Willian (Chelsea) latches on to a through ball inside the box, but one of the defenders steps in with a timely interception. It could have been a great chance otherwise. Stuart Attwell is the one to supervise the game today.